The eye network continues to dominate Thursday nights with their comedy block of The Big Bang Theory and $#*! My Dad Says. CSI is losing steam but still performing well against Grey’s Anatomy. The Mentalist is typically in second place, well behind Private Practice in the demo. Here’s the press release from the network. Keep in mind it’s based on the early numbers. The finals are released later in the day. The Big Bang Theory was Thursday’s #1 program in adults 18-49 for the fourth consecutive week and CBS led the night in viewers and key demographics, according to Nielsen preliminary live plus same day ratings for Nov. 11. The Big Bang Theory was first in households (7.7/13), viewers (13.06m), adults 25-54 (5.4/14), adults 18-49 (4.2/12) and adults 18-34 (2.8/09). For the fourth straight week, The Big Bang Theory was Thursday’s #1 program in both adults 18-49 and adults 25-54. $#*! My Dad Says was first in households (5.9/09), viewers (9.71m), adults 25-54 (3.9/10) and adults 18-49 (2.8/08). CSI: CRIME SCENE INVESTIGATION was first in households (8.1/13) and viewers (12.92m); it was second in adults 25-54 (3.9/09) and averaged a 2.8/07 in adults 18-49. The Mentalist was first in households (8.5/15), viewers (13.78m) and adults 25-54 (4.0/11); it was second in adults 18-49 (2.8/08, -0.1 behind ABC). The Mentalist was the night’s #1 program in viewers. 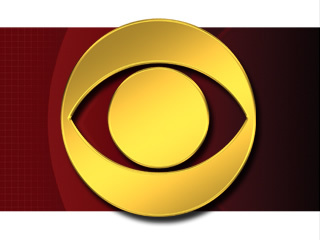 For the night, CBS was first in households (7.8/13), viewers (12.70m), adults 25-54 (4.2/11) and adults 18-49 (3.0/08). CBS was first for seven of the first eight Thursdays this season in households, viewers and adults 25-54; the Network was first in adults 18-49 for six of the first eight Thursdays.